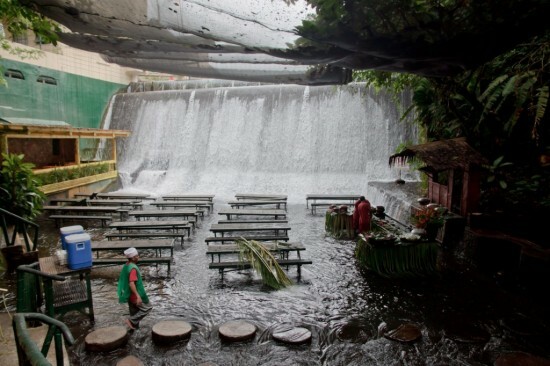 Waterfall restaurant in Villa Escudero is located in San Pablo, Laguna province, Philippines.This resorts offers you a chance to dine in at the foot of a small waterfall. Aside from the water fall restaurants you can enjoy the museums that is about the AERA Memorial Museum. 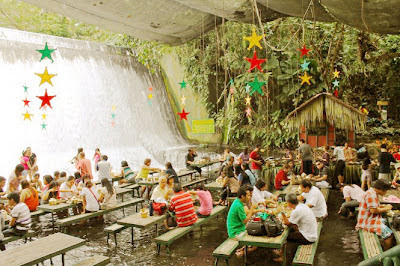 Philippine Experience show-is one the activities that you might interested to watch while you are in Villa Escudero resort to make your time worth and refresh your history about Philippines.This shows is only Friday-Saturday and Sundays and Holidays.For more information you have to check in their websites or call.